Craigslist is the great online classified site. At any given time there are hundreds of items being offered for sale or for free on Craigslist. Often, people just want to get rid of something and if you pick it up, it can be yours. These aren’t just “yard sale” discards but actually a lot of high end items. You can shop on Craigslist for something specific or be inspired by the photos of what is being offered. If you’re not afraid of working with a clue gun, then you can customize a lot of what you already have in your home to give it a fresh look. There are iron-on trim that you can apply to curtain panels. A black table can have gold edges with a simple brush stroke. You can wallpaper the back of a bookcase. A terrific resource for inspiration is Pinterest. Just type in the search of what you’re looking for and you’ll see all kinds of variations. A lot of decorating is anchored by consistency. A white sofa means a white rug, white end tables and white lamps. That look can be appealing but so can an eclectic approach. Not everything in a room has to match in color and style. 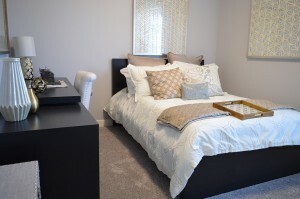 You can have different colored end tables and mixture of accent pieces. It all spins back to your personal tastes. Before you undertake any decorating, you should get rid of the clutter. It’s not just about cleaning up a room but clearing out the stuff that isn’t working. Ratty furniture, and outdated electronics have no place in your home. They certainly don’t have a place out in the garage or up in the attic. 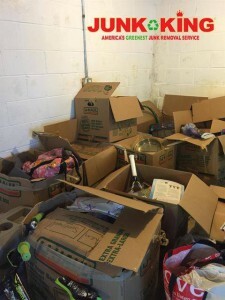 To get all that junk removed, hire Junk King Palm Beach. They’ll be able to quickly sweep through your home to pick up whatever needs to be disposed of. Quick and efficient. Home decorating needs to start in a home free of junk. Junk King Palm Beach can help with that in a big way. This entry was posted in Palm Beach Junk Removal and tagged decorating, Junk King, junk removal on January 28, 2018 by Junk King. Last updated January 28, 2018 .